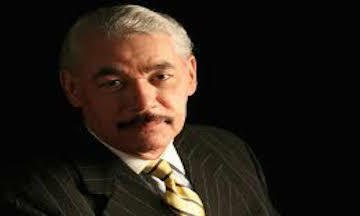 Hugh: George Fraser is my guest today in this series. George is the founder of FraserNet, which is over 40 years old, is it, George? George: 30 years as a formal business, ten years before that. So yeah, you’re pretty right. Hugh: I am pretty right. George and I met a number of years ago. This interview is after we have known each other for six or seven years and have had some very meaningful conversations. I want to tell you, George. I have seen you present, I get your emails, people talk about you everywhere I go, and everybody raves about George Fraser and the impact that you have on people’s lives. Rather than me trying to explain everything about you, I know that you weren’t born with a silver spoon in your mouth. Give us a bit of your history and lineage and what is behind this thing called FraserNet that has such an impact on the world? George, I’m honored to have you on this series, so thank you for being here. George: Hugh, thank you so much. I continually thank Berny Dohrmann for making sure that we collided. It feels like we collided because we are of like mind, and our thinking is synergistic. It is an honor to be here with you. You are a person that is the epitome of the purpose of life. I mean that from the heart. I’m not saying that because you are sitting in front of me. You are about love and giving and serving and adding the highest value every minute of every day. That is the kind of person I want in my life. So thank you for having me on your show. Hugh: Thank you for those kind words. Give us a little history of George and some history behind why you are doing the kind of work you are doing now. George: I grew up in very humble beginnings. My father was from Guyana. He came to this country in the early 1900’s from Guyana. He married a beautiful, fair-skinned African-American woman from Lumpkin, Georgia, Adalaide Baldwin. They had eleven children, eight boys and three girls. When my dad came to this country in the early 1900’s as an African-American, he could not get a good education or job, so he was relegated to driving a New York City cab for 40 years of his life. When I turned three years old, my mother became mentally ill and was institutionalized for the balance of her life. Dad couldn’t take care of eleven children, so I was orphaned. We were all orphaned. I stayed in an orphanage from three to five. No one would take eleven children, so we were broken up into threes and put into foster care. I spent the balance of my young life growing up on the mean streets of Brooklyn, New York in Bed-Stuy, to be specific. As a foster kid growing up in toxic foster care, I aged out at eighteen. I was not doing very well in school. My guidance counselor Mr. Deats suggested I drop out. I did not listen to him. I was in a vocational program. I ended up with a diploma in woodworking because no one thought I was college material. I graduated and mopped floors during the midnight shift at LaGuardia Airport to pay my way through several years of college. The rest is history. I ended up at Procter and Gamble for thirteen years in branding and marketing in leadership positions. For three years, I was a vice president at United Way, and then I spent a couple of years as an executive at 42 years old. I pivoted out of corporate America having learned at the feet of masters and began my own company focusing on the very provocative and esoteric subject of networking specifically in the African-American community because I had observed from my own lessons and climb that we did not understand what networking was. We did not of course invent the word. And we were not good at building the kind of collaborative networks necessary to take people in our own community to where they need to go in the 21st and 22nd centuries. I decided to commit the balance of my life—I am now 72—to helping our people understand the power and importance of the relationships in their lives and collaboration versus cooperation. Cooperation is very important, where one and one makes two. But collaboration is more important, where one and one makes eleven. It was important that we understood that so we could develop more economically, develop institutions and organizations that allowed us to collaborate and grow and ultimately to prosper. To that end, I have been working on that for the past 30 years. I have developed a network of over 100,000, a close circle of friends, more than that if you look outside of the circle. I have facilitated this vision of delivering this service to African-Americans in particular, America in general by couching it in the need to promote and celebrate diversity and inclusion. I have done it through conferences, workshops, seminars, six best-selling books, 2,000 speeches, and 8.5 million frequent flyer miles. Hugh: Oh my goodness. We call you Dr. Fraser. For a guy who wasn’t college material, you got some doctorates, didn’t you? George: I have three. I have one in theology, one in philosophy, and one in the humanities. George: Doesn’t that inspire you? Hugh: I love it. I tell my clients: When you write your goal, you want to have three people to share it with. That’s what makes it work. It’s the accountability. I change the A in SMART to Accountable. When you share it with someone, you are accountable. There are two ways they can affirm you. One is, Great, I can introduce you to somebody. That is empowerment. The other way is Ha! You’re going to do what? That’s empowerment. Back to this really powerful story. We sometimes put a spin on the word “power,” and it is misinterpreted. In the context I am using it with George, power is influence. For me, leaders are influencers. As I have known you, I have never known you to use power of position. You influence people because of who you are, which is one of the definers of transformational leadership. It is a community of high performers, like an orchestra. You know I spent 40 years as a conductor. Give me a snapshot. Do you have a purpose statement for FraserNet? Give us a snapshot in a sentence. What is FraserNet? George: The vision of FraserNet is to build a global network, to increase opportunities, resources, and access for people of African descent. That is fundamental. That is what we want to do: to increase opportunities, resources, and access for basically people of African descent. We do that by teaching and training them through a variety of products and services on how to gain access, grow access, cherish and develop access, and be an access point to each other. That is really it in a nutshell. That is who we are. Hugh: That is more empower than power. Your style is to empower others. The theme I want to explore next is one of transition. Transition happens with transformation. The story you just presented of your life was a series of transitions. One of the people on my interview series said that followers live in the present, but leaders live in the future. We are visionaries. What is the leader’s duty and delight—to go to your theology degree—in this whole area of transition? We are always getting better or going backwards. Organizations are always in transition. We think it’s not, but the only thing that doesn’t change is change itself. What is the leader’s role in inspiring and facilitating capable leaders in transitions? George: I think one of the leader’s roles is to see where people need to be but are not there yet and then find a way to take them there. That is what visionary leaders do. They are able to see— maybe it’s a spiritual download—where people need to be. They are not quite there yet, but the leader figures out a way they can take them there. That is number one. Number two is a leader helps people through. It’s a very good word that you use, of a transition, and building capacity. Transition and building capacity. I am constantly in transition. I am constantly shifting people, places, and things in and out of my life and refreshing. As I am shifting people, places, things, knowledge in and out of my life, I am increasing my capacity to build, to earn, to serve, and to fulfill the purpose of life, which is to love, to give, to serve, to add value every minute of every day, to add the highest value to somebody or something. I think the biggest overarching role of the leader is to move people in a good and righteous way to where they need to be, where they don’t know they need to be there yet, and to help them build capacity fundamentally through transition. Transition is the acquisition of new knowledge, fresh knowledge, each and every day and shifting people, places, and things in and out of your life and making sure that those people, places, and things are in the proper place at the proper time on the proper thing that we are working on together. Hugh: Do any of those inspire another piece? Transitions are part of our transformation. We learn stuff. Okay it’s theory. Now we need to digest it. Okay, I understand it. Then we need to put it to work in its transitional, transformational presence. St. Paul said, “Be transformed by the renewing of our minds.” I think sometimes we are our own worst enemies when we think we got status quo. Do any of those spark another comment from you about transitions, leaders, and our responsibilities there? George: Yeah. That is some deep stuff you just went through. You sort of glossed over it. But that is years of study and understanding and stewing in your own juices, Hugh. This is deep, but I think that embedding social impact into one’s business model is the wave of the future. Embedding social impact. I call myself a social entrepreneur. I have found a way to do well while doing good to make a profit and to make a difference. Peter Drucker had some wonderful things about the social responsibility of the corporate world, and that fundamentally is to take problems and turn them into business opportunities and essentially educate, inform, and empower people to ultimately do the same. Peter Drucker is one of the ultimate business minds of the twentieth century. I really believe that visionary leadership requires looking not at the problem, but looking at what we contritely would say the opportunity and figuring out a way to help people make a profit and make a difference and do well while doing good. Embedding social impact into your business model. I think that can be done in almost every business model to a greater degree than it is being done today. I think there are some element of that in the big Fortune 1000 corporate world. But I think that as we peel back the onion on that, as we grow as a people, as a country, that has to become more prevalent and be brought to the surface. That certainly is what I am committed to showing the world, my small little world, how to do that more effectively and better. Leadership is the only way it’s going to get done. It’s not going to be done by osmosis. It’s not going to get done because of scholarship. Scholarship is critically important. But it will be done by righteous and well-communicated, powerful examples executed by good and righteous leaders. Hugh: You certainly play your role in what you just talked about. You lead by example. You offer opportunities for leaders to step up. You offer live events, and people all over talk about them like it’s the gold standard. Your events empower, encourage, and gather people in some visionary place and empower them to think outside of their little space. What kind of events do you have? Why do you have live events? What is the purpose? George: I think that nothing ever will replace human contact in the cultivation and nurturing and building of relationships and the understanding of the human psyche and the power of the human touch and love. Nothing will ever replace that. Certainly, social media, and I am a big fan of the effective utilization of social media, but it will never replace face-to-face, body-to-body, eye-contact-to-eye-contact, as we look into the windows of the souls. Fundamentally, live events are critically important. What we are doing is maybe as close as we could get using social media to a live event. This is a one-on-one, eyeball-to-eyeball, heart-to-heart conversation. But I like live events because it gives me a chance to model the behavior that I expect from people. When people see the way I comport myself, when people see the way I dress in a businesslike manner at a conference, when they see how I frame my conversation, how I treat other people who are around me because I remain present 24/7, this is in a sense arm’s length mentoring. This is very important to do. Stay close to your customer. Stay close to those “following.” This is especially important in the African-American community because we learn a bit differently. We are all visual, tactile, kinesthetic, and auditory, right? So we like to touch. We like to hug. It’s like an effective politician really needs to be on the ground in his district, in his community talking and touching people. That spreads virally. You are accessible. You are available. Not only do people learn that when they see me comport myself that way, but they also learn it from the other interactions. Our big conference, the Power Networking Conference Live have 1,500 people at that conference. Most of them are behaving the same way. That now becomes the standard for language and behavior, and the things we are doing, learning, growing, spending ten hours in workshops, that becomes the norm. That is very important when leading people to the promised land. Hugh: Wow. As you are talking there, I am resonating with what you are talking about. You have probably not been privy to my leadership content that my clients study, but it is very much in alignment. I have four pillars of leadership. Foundation is where you are going and what your skill is. Your relationship is the second one. You really surround yourself with capable people. Relationships is not only at the root of leadership, but also communication. And the profit you talk about. The third one is how to create effective systems so we can actually utilize these skills. The fourth is how to balance life and balance it all. I define leadership as first and foremost influence, as I said earlier. As you are talking, you go more and more into depth about the ways that you influence people. The way I define transformational leadership, which is a style defined in the 80s by two authors, Burns and Bass, how I define it is a high-functioning culture, but the leader is the influencer, the model. In the conducting world, what the choir orchestra sees is what you get. The culture is a reflection of the leader. Give me that number again. You glossed over that number. 1,500 people come to your conference? George: We sell out every year. Forbes named us one of the top five conferences in America not to be missed. We do no advertising or promotion. This is our 16th year, our sweet 16. It’s a powerful conference. It’s open to anybody who understands diversity and inclusion, who wants to broaden their perspective and think outside of the box, understand the power of cultural diversity, understand various perspectives of various audiences, and how to effectively operate and to be a part of what I believe is the strength of America. That is its diversity. That really is our strength. That is the unique strength we bring to the world. Every group must maximize their full human potential. I have said this many times, but until such time as African Americans in this country maximize their full human potential, America will not reach its full human potential. When that happens, and it’s happening slowly but surely, we are certainly much better off than we were 400 years ago, that is for sure, but there is still a long way to go. As we maximize our potential, America will then maximize its potential. Part of the job of the leader is to bring people along. Sometimes kicking, screaming, and crying. One of my definitions of leadership, Hugh, is to be awake and alert and to be disatisfied at all times. George: We have come a long way, but we have much further to go. Therefore, I am not happy. I am motivated by a positive anger directed toward positive change. Let me say that differently. You will never change that which you tolerate. You will only change when you get angry. Let me say that another way. People will not change when they see the light. People will change when they feel the heat. If America doesn’t feel the heat with its epic shift in politics over the last three or four months, I don’t know when we will feel the heat. I am saying this is maybe good. This is a seismic shift. What isn’t good about it is our leader and the way he comports himself. I am not sure I would want my children to be like our leader. I certainly would want my two sons to be like Barack Hussein Obama. But this leader, I am not sure I want my children to model the behavior they see in the most powerful man in the world. He is modeling behavior. We hear him every day. We hear his tweets. We hear him talk about whatever he wants to talk about. The question is: Do you want the people who love you, know you, respect you, follow you, learn from you, and get coached and mentored by you to point to that as this is how you should comport and behave going forward with your life? Hugh: I have often said that as a leader, there are consequences for our languages and behaviors at any level. History has a way of informing us. I love one of the musicologists I studied with. When someone years ago asked about Jimmy Swaggert’s downfall, he said, “Don’t worry, time wounds all heals.” I don’t put dates in the article or the podcast, but I just would like to put a marker here that we are just shortly after the transition from Obama to Donald in the presidency of the country. I heard a lot of really good things, but the wisdom I just heard from you of taking responsibility of what we should have been doing. I spoke to an activist recently and asked him how he was taking it. He said, “Well, it’s not good, but we are encouraged to do what we should have been doing anyway.” I thought, That is making lemonade out of lemons. If you look at your theology degree and all the people in the Bible that God used for God’s purpose in a very profound way, some of them were pretty ratty people. George: Yeah, God uses imperfect people, Hugh. We know that. God uses imperfect people. We are all imperfect. There is only one that is. It’s okay. I say this to people all the time. It is important to understand that you are born because God wants to utilize you, even in your imperfection. Don’t be discouraged by those imperfections. Don’t be discouraged by those mistakes. Don’t be discouraged by the dumb stuff you may have done in certain passages of your life. That’s okay. We could go through a list in the Bible of almost all the major players having some really dumb stuff in their lives. It’s okay. It’s okay. I don’t worry about that, and I know I’m going to make mistakes and do some stupid things. But I press on. Hopefully I learn from that. I change. I wrote a book called Click: Ten Truths to Building Extraordinary Relationships. One of the major truths is be open to everything, attached to nothing, and the best idea wins. The best idea wins. Be open to change. Be open to new relationships. They will come in and out of your life, but understand that business is about relationships. Without relationships, you have no business. Without relationships, you have no business being in business. The business we are all really in, Hugh, is the business of building relationships. We have to spend quality time, maybe even more time, cultivating, nurturing, and building relationships at work, at home, and in the community. Most of us don’t spend enough time on our relationships. Hugh: Yes, sir. Those last ten sentences were worth the whole interview. Preach it. I love it. We are so much in sync. I am excited. I want to wrap up the transitions part. Speak to leaders who are in responsible roles. There is a large amount of small businesses, many more than the big corporations. In addition to that, there are four million 501(c) somethings. Memberships, associations, local charities, religious institutions, education, you name it. There are four million of those, each who has a leader that is visionary. We haven’t given thought to those who are setting up transitions because we won’t be here forever. What advice would you have for leaders in this? We are grouping these under social entrepreneurs. We are thought leaders, but we won’t be here forever. How do we set up transitions for long-term stability with the organizations we have been charged to lead? George: Wow. That is a deep question. You know why? I am dealing with that right now. I am dealing with that question of succession for FraserNet. Right now, as we speak. Actually, I am in the second year of solving that algorithm or equation. In fact, I have committed at the Power Networking Conference of July to introduce our new succession plan and all the people who will be a part of that succession plan. I have been working on that in all candor for three years and have come up with the successor, the person who will ultimately take my place. I began preparing my audience, my network for this idea three years ago. My advice to people who are thinking about that is don’t wait until you are either critically ill or dead to begin thinking about this. You are right. You are not going to be here forever. Thinking about it while you have a healthy and sharp state of mind, begin the search process if you will as soon as possible. Have it tin the back of your mind. I had it in the back of my mind three years ago. I am almost 72 now, so when I was 68/69, I began thinking about transition. I began to think about succession. So I looked and looked. Once you plant the seed in your mind, the universe and God will lead you to the answer to the question. Once it’s planted, once you say it or write it down, that permanently puts it in your subconscious mind. A simple analogy would be if you were to go out and buy a Volvo today, you know what would happen tomorrow? You would start noticing all the other Volvos. Plant the seed in your mind, and the rest will reveal itself if you give it enough time. Don’t say, “I want this big and important thing to happen. I only have a couple weeks.” Don’t do that. Give it time. It’s the same way we write books, right? I begin now. Certainly, if you are in your sixties. If you have thought about it, begin the process. Write it down. I would get a folder and write on there “Succession.” In that folder, I would begin looking, inquiring, quietly taking notes on people in the various positions. I am going to unveil at the conference the whole lineage board and various key executive positions. I am going to unveil that at the conference. I am going to say, “This is going to happen over time.” I am not going to disappear next year. I am going to be here, as long as God gives me breath and life. But ultimately all of the responsibilities you presumed I had will now be transitioned and passed on to others we are working with or have been training them slowly but surely. It’s critical. God forbid if I didn’t do this, Hugh, and God forbid I passed, the business would be over. 30 years of work finis. That would be terrible. Hugh: I intuitively knew you were going to have that kind of answer to my question. You are leading by example as a good transformational leader. The transition ahead of you is something you have laid the foundation for and have done some careful planning for. I am sure you have surrounded yourself with thought leaders that understand the legacy you have created. It is going to be ongoing. I am so pleased to hear that. What you have created is so important. I knew you had some plan, but thank you for sharing it in the world. We are talking in the winter of 2017, and you are talking about an upcoming program. People may listen to this in the future. Let’s give them a link. George: Frasernet.com. That is the main link for the organization and all the things that we do and the ways that people can join and become a member. It costs nothing. You prescribe to our mission, vision, core values, and guiding principles. Hugh: I love it. Say that again. Our mission, our vision, our core values, and our guiding principles. George: Let me do this. This is something that I think is worth. Remember these four things are now 27 years old. I wrote these when we started the company, not on the day we started the company. It took us a little time as you can imagine, and then we wrote the vision, mission, core values, and guiding principles. Let me just read to you very simply our 27-year-old core values. We value service to others as the foundation for success. We value learning and growing. We value the importance of family and legacy. We value spiritual growth and guidance. We value building wealth honorably. We value being a positive role model. We value a strong work ethic and loving what you do. We value the importance of our relationships. We value making the investment to succeed. We value measuring success by the generational wealth we transfer. Those are the things that we value. When you become am member, you must buy into these values. These values are 27 years old. What are our guiding principles? We will put God first. We will foster trust through honesty and integrity. We will give first, share always. We will keep promises to ourselves and to one another. We will treat everyone with respect. We will exceed expectations. We will practice listening as the first duty of love. We will use wealth as a force for good. We will think hard and work smart. We will practice humility as a strength of character. We will give thanks in and for all things. We will live healthy and authentic lives. We will honor our work as a spiritual practice and as our gift. Finally, we will lead by serving. Those are 27 years old. Hugh: Oh my word. No wonder you are successful. That is brilliant. You know how few leaders even have core values. But you have taken those and activated them to principles on how people make decisions in your culture. George: Principles and modeling. Modeling. Remember the importance of having a live conference where people are there? It gives the leader a chance to model the behavior he/she espouses. Hugh: My goodness. I am a descendant of Scottish Presbyterians, but somewhere, we probably were brothers from another mother. George, this is just so amazing. So amazing. I am so grateful for your time and your wisdom today. We will make this one go viral. You share it with your network, I’ll share it with mine, and we will get Berny Dohrmann to share it with his. As we wrap up this really profound interview—I knew it would be good, but man, you blew it out of the ball park here—what final wisdom, tips, thoughts would you like to leave with people about leadership and how we impact and influence people’s lives? George: Two things. Chase excellence. Never chase money. Money has a strange way of finding excellence. When you become excellent at whatever you choose to do in life, whether it is sweeping streets, Dr. King spoke to that, or whether you are a rocket scientist, it doesn’t matter, whether you are owning a business. When you choose excellence, you will never have to worry about competition. You will never have to wait in people’s lines. People will wait in line for you. It’s when you are average or mediocre that you will have to worry about competition because most of America is about average. If you are average, you are competing with everybody. Chase excellence. Never chase money. You chase excellence by being committed to constant never-ending improvement and life-long learning. Turn off the television and read. Turn off the television, America, and read. Be open to everything, attached to nothing, and the best idea wins. Stay the course. That is what I have done. Stay the course. Chart a good and righteous course. Stay that course. Then all that is due you will come to you. Hugh: George Fraser, those are great words to end on. Thank you again for sharing your wisdom with the world. George: Love you, Hugh Ballou. Stay the course.